For those of you that are familiar with the WordPress world, things can, and do go wrong from time to time. What I have read so many times in reviews of themes or plugins is how the installation “broke” their site. The other terrifying problem – hackers. Yeap, since WordPress sites have grown in popularity, it’s a certainty that they’re going to attract some attention. Given that WordPress is a multi faceted platform, either of these can be terrifying for the business or personal user that doesn’t know what to do. Since it’s unlikely that you’ll never install a plugin or a theme, or that you are immune to hackers somehow, I have one simple answer: Backup and Restore Plugins. One thing to note is that the plugins I recommend are primarily paid plugins or at least have the option to donate or purchase their premium support. If you end up liking their product, by all means DONATE! These brave developers have to make a living and if you like what they’re doing, you need to support them. The AGC site is using this plugin and with great success. It is free to install and use, but again, they accept donations, or you can purchase some of their premium support options on their site. This is an incredibly simple utility to use, with installation taking me less than 5 minutes. You have options of where to put your backup files, either a space allocated on your server via FTP, or remotely to services like Dropbox, Amazon S3, Google Drive, or email the files to yourself. Once installed I recommend you immediately run a backup. Restore for this plugin is based on having a previous copy of the site backed up using it (of course why wouldn’t you do this anyway?). You can schedule backups as well, which I highly highly recommend. One upgrade that I think is well worth the investment is the Automatic Backups addition. This makes a backup every time you update WordPress, install a theme or plugin. So if that WordPress install breaks your site, you have a way to roll back to where you were just before the update. XCloner is another great option. I personally thought it was pretty easy to use. Since it was originally developed for Joomla! a lot of the documentation that is readily available on the site is for Joomla!, but plenty of the documentation also includes the variations for WordPress. It had a conflict for me with my security plugin, so I recommend you test this one out to make sure there aren’t conflicts. Files can be stored at Amazon S3 cloud and recently the addition of Dropbox support. Still, it’s good to have options and XCloner is a very good one. This one also includes multi lingual support, which I found to be an interesting addition that your international clients might appreciate. BackupBuddy is the priciest of the options I’m including here. I don’t personally have experience using it, but everything about it looks very promising. There are a number of options of where to store your data, Dropbox, Amazon S3, Google Drive, FTP, or email the files as well as an additional option for BackupBuddy users, Stash. It’s incredibly popular, the last number I’ve read listed it’s users at well over 100,000. So there is a strong base of customers to continue it’s production and update. This can be important, and why I advocate for purchasing premium support is that once you’ve chosen a service you want to to continue to be available, and updated to work with the current version of WordPress etc. One thing that I found particularly exciting was the ability to restore individual files. Say you’ve got a post that you mucked up somehow, or a page, etc. This plugin allows you the option of restoring it. Again, restoring a full scale site failure requires familiarity with FTP much like the XCloner plugin. 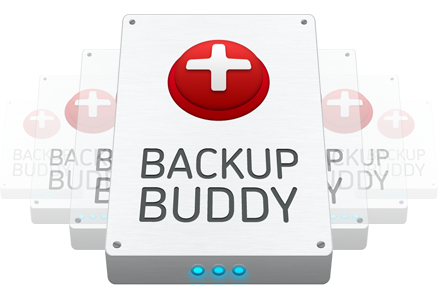 Migration is another added feature with BackupBuddy, making this a really wonderful solution to your backup needs. Remember, a ounce of prevention is worth more than a pound of cure. Save yourself the headaches of a broken site or lost files. Backup, backup, backup!